Many organizations that have implemented an on-premise ERP or CRM system know how painful it is to upgrade the software. With Cloud computing, updates are applied automatically — this is part of the basic service and often saves organizations millions of dollars per year. This frees up customers’ time that can be used on other important tasks. 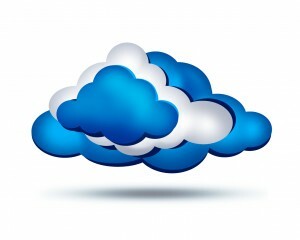 The Cloud provides much more flexibility for increases and decreases in demand. For example, if a company needs more bandwidth than usual, maybe for some special promotion, a cloud-based service can instantly meet the demand because of the vast capacity of the services’ remote servers. In fact, this flexibility is so crucial that 65% of respondents to an InformationWeek survey said “the ability to quickly meet business demands” was an important reason to move to cloud computing. New users can be added or removed very easily adjusting to business demand as needed. Disaster recovery is often much easier for cloud based services as this capability is a standard part of the service. Cloud computing providers take care of most issues, and they do it faster. Aberdeen Group found that businesses that used the cloud were able to resolve issues in an average of 2.1 hours, nearly four times faster than businesses that didn’t use the cloud (8 hours). Cloud computing services are typically pay as you go, so there’s no need for capital expenditures. Because cloud computing is faster to deploy, businesses have minimal project start-up costs and predictable ongoing operating expenses. Cloud computing increases collaboration by allowing all employees – wherever they are – to sync up and work on documents and shared apps simultaneously, and follow colleagues and records to receive critical updates in real time. A survey by Frost & Sullivan found that companies which invested in collaboration technology had a 400% return on investment. Cloud infrastructures generally have much better capabilities to accommodate global scaling and often have significant latency in Worldwide deployments than internal corporate networks. Let’s face it, people want access to IT services no matter where they are. For example, someone might be in Peru on vacation and need to process and approve transactions in the United States. Running applications in the cloud enables people to work from anywhere. All employees need is to have Internet access, which is widely available across the world. Many people now from home or work remotely in various places; Cloud computing enables this. One of the serious concerns about the Cloud is about Security. However this does not seem to be as serious as the hype put out by IT departments. Most corporate IT departments are nowhere near sophisticated or have the resources or experience that Cloud vendors do in this area. In reality, major cloud vendors (IBM, Amazon, Microsoft) are far more sophisticated and have much better understanding and resources of security than corporate IT departments. Some 800,000 laptops are lost each year in airports alone. This can have some serious monetary implications, but when everything is stored in the cloud, data can still be accessed no matter what happens to an individual laptop. Implementing a SaaS application is much quicker than implementing traditional software applications. SaaS applications can often be provisioned and available the same day. Users can often start productive work within days not months. There is no hardware to buy, desktop software to deploy, or complex implementation issues. Users can often start training through online video classes and practice using the system in a sandbox. Rehost – Rehosting involves moving the application and its components residing on internal corporate servers to servers hosted in the Cloud. Rehosting an application without making changes to its architecture can provide a fast cloud migration solution. However, this may not always be the best method. It may be better to also make some architectural changes to take advantage of improved security, scalability, and business continuity when moving applications to the cloud. Rebuild – Rebuilding the solution means discarding the existing solution and rebuilding the solution using software and tools provided by Platform as a Service. One of the major PaaS vendors is Force.com. Force.com provides a complete environment for quickly building new applications. Using Force.com makes a lot of sense when you are using Salesforce.com as your CRM and you have additional applications that need to interface with it. It is often easier, faster, and cheaper to rebuild the applications in Force.com instead of trying to integrate legacy applications with Salesforce.com. Although rebuilding requires development of new skills and loss of knowledge of existing code and frameworks, the advantage of rebuilding an application is access to innovative features in the providers’ platform. PaaS can significantly improve developer productivity, allowing teams to deliver solutions faster than they could with the old legacy code that they maintained before. Replace – Replacing an application involves replacing an existing application (or set of applications) with commercial software delivered as a service. This option avoids investment in mobilizing a development team when requirements for a business function change quickly. Overall the tool from Enfocus Solutions provides an excellent method for defining and managing your cloud migration strategy.